You can design a web application without CSS knowledge. You don't have to taking care of vendor prefixe like -webkit or -moz. You can utilize power of CSS3 with intuitive UI. 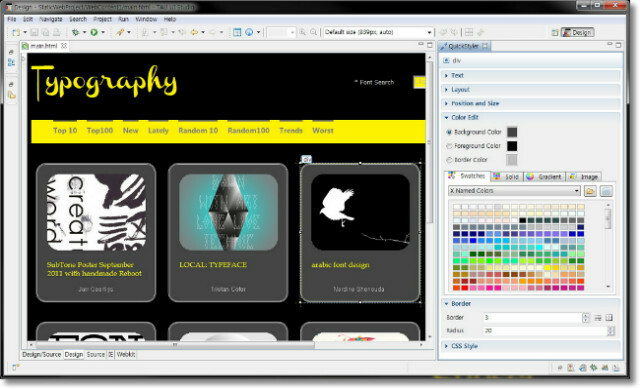 All editing work in HTML source, design view and css source will be synchronied in real time. You can use diverse eclipse plugins with TAU UI Studio.